We’ve heard the old saying is “hearing is believing.” Here is an opportunity for you to decide for yourself. 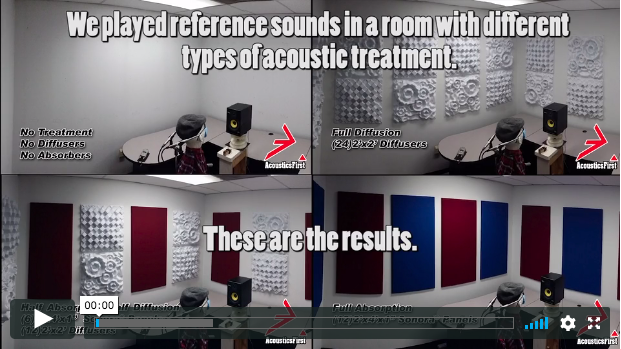 Acoustics First did a video recording in a 10′ x 9′ x 8′ room. This recording will give you the opportunity to hear and compare the following using a variety of sounds. For the best results, turn off any compression / effects and listen using headphones. Click on the photo to listen. Enjoy!